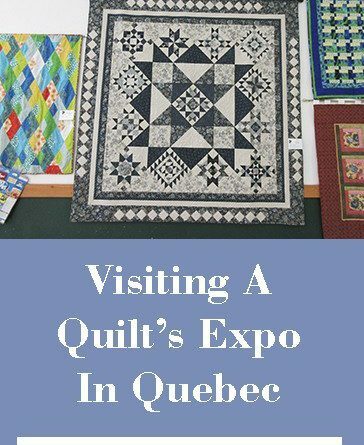 Visiting a quilt expo in Quebec, the perfect “must do” in a beautiful Summer morning, and admire beautiful quilt’s from some Canadian quilters. 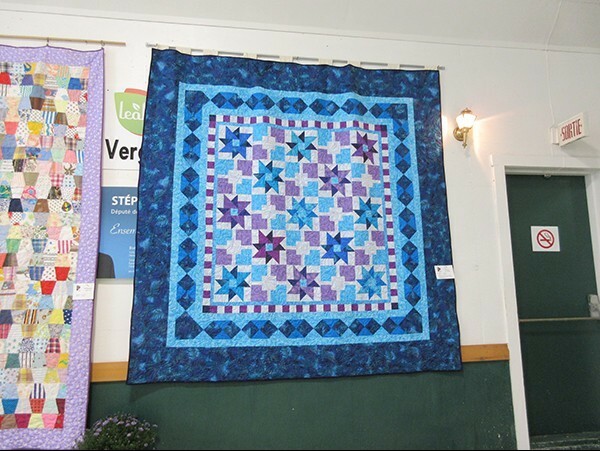 I live in a small and beautiful town in the province of Quebec ( Ormstown ), not far from the border with the United States, since I moved to live in this town I got to know there’s a quilting guild O-Ho Quilters, and they love to share their work every two years on an expo. 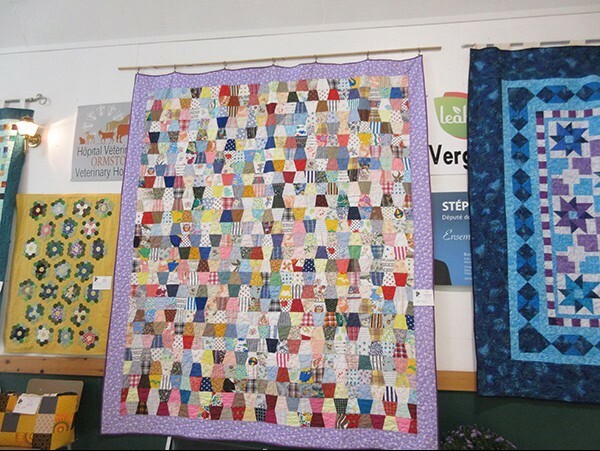 The weather has been fantastic in Quebec this Summer, so I was lucky to visit the Quilts expo early this Friday. I made a video (in Spanish) but I think you will enjoy visiting the expo along with me and take a look to the beautiful work of the O-Ho Quilters. Don’t forget you can follow me on YouTube and be the first one to watch the videos, you can follow the video and the full tutorial I write for you in English so you can follow it step by step in the tutorial in your own language. I thank you in advance for the likes to my videos, comments and shares. 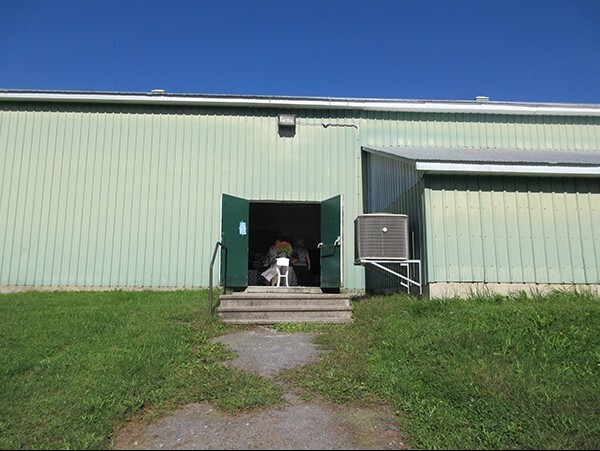 The O-Ho quilters group always share their work on the Ormstown Curling Club, it’s a very nice building with great lighting and walls big enough to display all the quilt’s in a beautiful way! 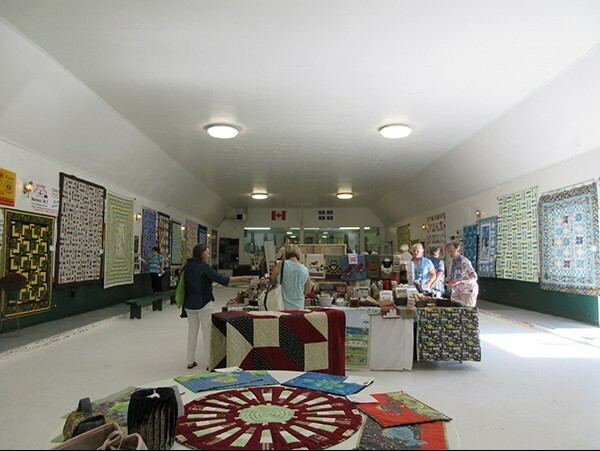 You can take a look to the inside of the curling club building and see how well display is the quilt’s expo!. Some early quilters (like me) at the expo admiring the beautiful quilt’s! 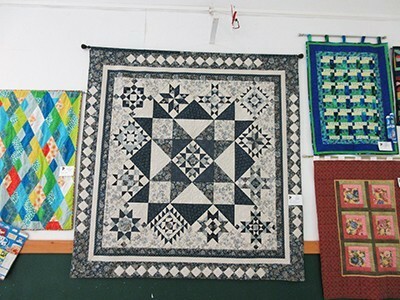 An eye catching quilt made with 13 different blocks in blue! You can’t miss doing a great job when you make a quilt with the Nine Patch block! Beautifully hand quilting on this quilt. Blue is always a good color to work on quilt’s! 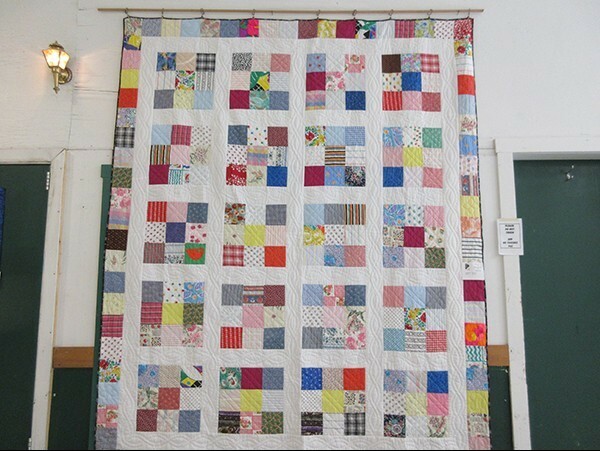 And when you get a few scraps… another great quilt to admire! Don’t miss to look at the small mustard quilt made with hexis. 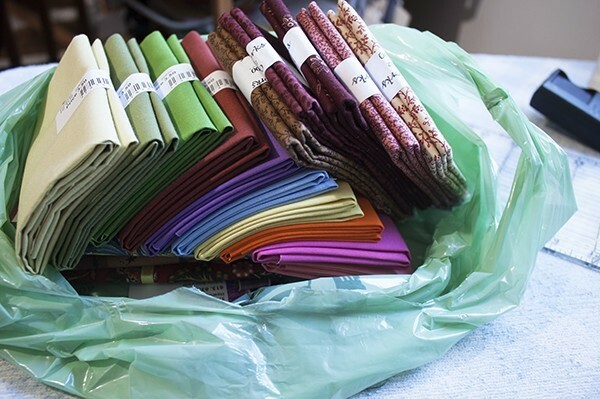 There were two quilting supplies stores at the expo, so I got the chance to get a few new fat quarters for my next quilt!. Some solids for a Baltimore small quilt! I must say, I forgot my “Eco” fabric bag at home, so I got a plastic bag, sorry for that, my mistake, I should have thought I was going to buy some fabric 🙁 I should have thought about it. 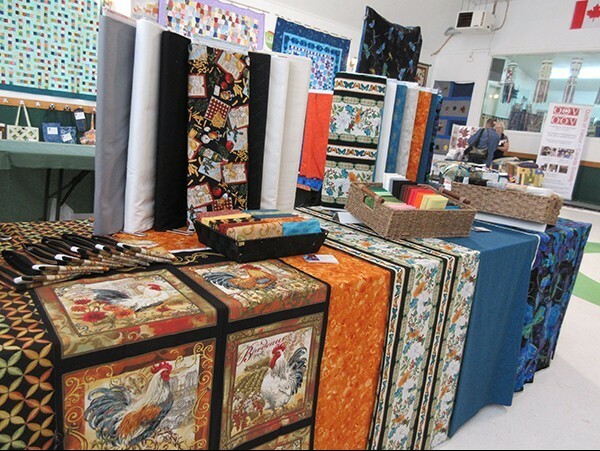 Well, with my mind full with admiration for the beautiful quilt’s I saw today on this quilt’s expo, I’ll be waiting while I keep quilting for the next expo in two years! 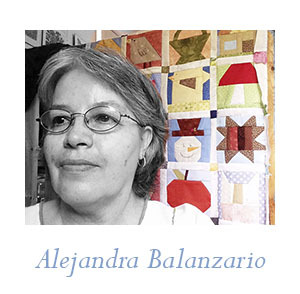 Don’t forget you can follow me at Facebook on my fan page Alejandra’s Quilt Studio, Instagram, Pinterest and YouTube. I thank you for your time to stop and visit my blog, leave a comment and tell me from what part of the world you visit me.